What Form Do I Use in Probate for Final Accounting? The probate final accounting is the last step to close the estate and distribute assets to the estate heirs and pay the creditors who have filed legitimate claims. The process for the final accounting varies somewhat among the states so the required forms vary as well. Good record keeping is necessary for an accurate final accounting. An accurate and complete final accounting form assures both the probate heirs and the probate court that all assets have been accounted for and distributed properly. A personal representative is named in the will and is responsible for collecting all assets of the estate, determining what obligations will be paid from the estate assets, and the final distribution of the assets to the heirs and creditors. The personal representative is also responsible for completing the final accounting for the probate estate. 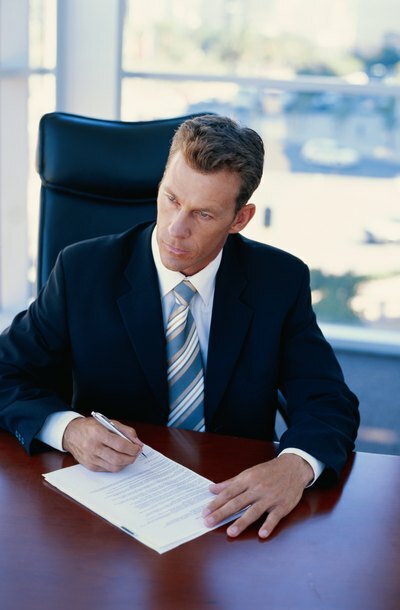 The final accounting is the culmination of the personal representative's duties. After the final accounting, the personal representative is discharged from any further responsibility to the estate. Because every state has different probate court forms for a final accounting, the form must be obtained from the probate court where the estate is being probated. Some courts have their own customized forms while others use statewide forms. In the event the personal representative does not already have the court's contact information, the National Center for State Courts maintains a list of probate courts, broken down by state, on its website. In order to establish some consistency among the probate courts of different states, the Uniform Probate Code has been adopted by the National Conference of Commissioners on Uniform State Laws. The code has been formally adopted by 18 states and contains general language regarding a personal representative's duties in closing an estate. In states that follow the Uniform Probate Code, the personal representative must sign a "sworn statement," swearing that all assets of the states have been properly collected and acquired, and distributed to the proper heirs and creditors. Maricopa County, Arizona, along with many other jurisdictions, provides a guide to assist personal representatives in preparing an estate accounting. This guide lists the information necessary to complete a final accounting, including funds received since the estate was opened, any gains or losses from assets of the estate, money spent, and value of property held in the estate at the time of the final accounting. Other jurisdictions, such as Rutherford County, Tennessee, have very simple final accounting forms, asking for cash spent and cash deposited.